Thus, a few days passed. I woke up and raised my upper body from the bed. b0e8e454fcdc4abde54b0a0923bcd57219f2dec8 If you are seeing this message, you are probably reading this chapter on one of the content-stealing websites. This chapter was originally posted on http://www.rebirth.online/novel/the-ability-to-make-town/8 and only the Content Creator has the legal right to decide where it can be posted. Light shone into the room from the other side of the curtains. When I looked at the clock near my bed, it was just a little bit before noon. This chapter was originally posted on http://www.rebirth.online/novel/the-ability-to-make-town/8. Even though it was late in the morning, I didn’t particularly mind. I wouldn’t have calls coming in from my office after all. In this different world, every day was like a Sunday. I can sleep anytime I want, and get up whenever I want. This is the lifestyle in this different world. But, that day, I didn’t wake up by myself. I was awakened by noise from outside. “What is it?” I muttered while getting down from my bed and opening the curtains. I could hear someone knocking on the gate. There were not only knocking sounds on the gate, but also the sound of people talking. In other words, there were intruders. After climbing over the town’s stone walls, it seems like they were trying to climb over my home’s stone walls too. Too bad. Unlike the town’s stone walls that were only five meters tall, my home’s stone walls were twenty meters tall. 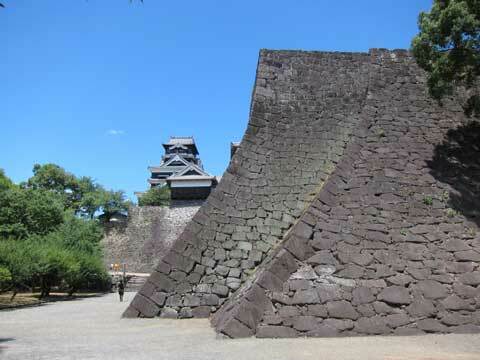 The structure of the stone walls were made so that as you climb further up, the stone becomes steeper (Mushakaeshi). In other words, as the stone wall rises higher, the length of the vertical step also becomes much longer, making it much more difficult to climb. 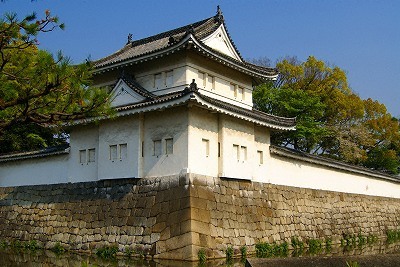 Moreover, there was also a turret built on top of the wall. Even if you were able to climb the stone walls using the gap between it, you would not be able to climb the wall without a foothold. However, it would be troublesome if they were to use a tool. Hurriedly, I wore my equipment for self-defense quickly, and left my house with the handgun and rifle in hand. In the garden, Catherine didn’t make any noise and plopped herself down as usual. Looking at that, my heart calmed down somewhat, because during these times of emergencies, what one needs to do is to think rationally. And so, I went up to stand beside the turret next to the front gate. With binoculars in hand, I looked out quietly from the turret’s window. I could see one hundred, no, a group consisting of two hundred people. However, they don’t look normal at all. Looking through the lens of my binoculars, although they looked like a human being at first glance, they seemed too hairy to be one. Amongst them, there was even a person who had a face completely different from a human’s. They seemed to be a tribe of wolves walking on two legs who were wearing their own unique ethnic patterned folk clothing. I wonder if this is... A beastman tribe? “Not good!” As one of them pointed a finger in my direction, I hurriedly concealed myself. However, why I should hide myself? This is Catherine’s and my kingdom, so there was no reason why I should restrain myself. So, I came out once again and shouted to them. The crowd under me started to make noise. Before long, one of them stood up to raise their voice. I see, so they are starving. When I looked from the binoculars again, all of them looked bony. It seemed like they had trouble finding things to eat. There were children amongst them too. It isn’t that I’m reluctant to help them. But, I can’t say for sure that they weren’t bandits either. It would be troublesome if they point their weapons at me the moment I open the gate. “Alright, but, I’m not trusting you yet! So, listen up! Get a little farther from the gate! I will deliver food to the outer regions of the gate! Don’t move before I give you permission! Do you understand! ?” I yelled. They started to murmur again, and with a clap, their tribal chief opened his mouth again. As the tribal chief answered, they started to leave the gate. “Tribal Chief! How many members do you have there?” I questioned. I have to know the number of people in order to prepare sufficient amounts of food. “There are about one hundred and eighty people!” The tribal chief stopped and answered. About? What do you mean by about? Don’t you know the numbers of your own people? “Alright! You can go!” I sighed. After sending them off, I descended from the turret and moved to the front gate. [Rice tub] [X20] 3000 yen x 20 = 60,000 yen. [Cooked rice (10 units) ] [X20] 3200 yen = 64,000 yen. First, I bought a tub to contain the cooked rice before purchasing the steamed, hot rice. Including some extras, I have prepared enough for two hundred people. The Edo era rice was 3,200 yen for ten units. In other words, a unit equals to 320 yen (1 unit is approximately 150 grams). If this was uncooked rice, then a unit would be 160 yen. The cheap rice that I bought from modern japan was 2,500 yen/10 kg. In other words it’s 37.5 yen/unit. When compared to modern Japan, I could see that the Edo period’s price was definitely higher. Well, isn’t it obvious? By using machines, it would be much easier grow and harvest rice in the modern age. Furthermore, there were differences such as using pesticides and fertilizer too. As for the productivity, you don’t even need to compare it with the Edo era. Aside from that, it could also be that the cost of living in the Edo era was quite high. At that time, before foreign currencies took their influence, the Japanese were self-reliant on gold mines. Now then, since it would be dull with only rice, I decided to provide side dishes as well. [Bucket] [x10] 3000 yen x 10 = 30,000 yen. [50 grilled sardine with salt] [x8] 5,000 yen x 8 = 40,000 yen. I placed the miso and the sardines into the buckets. Even though there were a lot of other fishes, I chose sardines as they were the cheapest. It seemed like sardines were also the most common fish that commoners used to consume in the Edo era. “Well, I think this is enough.” I muttered to myself. If I allowed them to eat extravagant food, it would not be good for their future. Next, I prepared the containers for their food, spoons, as well as water for them. [Bucket] [x6] 3000 yen x 6 =18,000 yen. [Mountain spring water] 0 yen. [Wooden Bowl] [x400] 500 yen x 400 = 200,000 yen. [Wooden Spoon] [x200] 300 yen x 200 = 60,000 yen. Those four hundred wooden bowls included the ones used for drinking. Since I couldn’t leave the wooden spoons on the ground, I placed them into the empty buckets. Alright. Now, all I need to do is to carry them out. But first, I need to make sure that they kept their words. I climbed up the turret once again and confirmed the position of the beastmen. As promised, they were waiting at a distance. I went back to the front gate again and exited from the gate’s side door. Then, I readied my rifle while carrying the food out one by one. “Oh, it’s heavy...” I grunted. It proved to be quite hard labour. Above all, the amount is a lot. At the edge of my field of vision, I saw movements from the beastmen. Two people were running towards me. I clicked my tongue and took out the handgun from my waist. I flicked off the safety switch, and shot a bullet towards the sky. It produced an ear splitting sound, but I am already used to it. However, the startled pair stopped on their feet, shocked. “I have already said it before! Until I give my permission, don’t come here! Once again, the sound of gunshots reverberated in the sky. The two beastmen trembled once again in distress, and quickly returned to the pack. I could hear someone yelling. Did those two act on their own? Afterwards, I finished carrying the food out somewhat, and entered back into the inner side of the stone wall before going up to the turret again. “You may eat!” I shouted loudly to the group from the window. Like ants attracted to honey, the beastmen gathered around the food. As everyone ran vigorously, I came to worry about the dust. It would be great if they found the food appetizing, or else it would have been a waste of effort. Have they not had any proper food to eat until now? Everyone’s face brightened up. The first person to arrive picked the sardine up and bit into it. “Delicious!” The clamor of joy echoed to the sky. Starting with him, the rest started to reach for the food. Oi, oi! Why are you guys using your hands instead of the bowls? As I retorted in my mind, they began to notice the wooden bowls only when their tribe chief told them. In this way, they were able to keep order somehow. Like this, there would no case where someone wasn’t able to eat. After the food was distributed to all the members, they started to eat. Smiles were plastered onto everyone’s faces. It was a scenery of people buzzing in happiness. Before long, the tribal chief looked up and lowered his head. I raised my hand in reply and continued to observe them eating happily. After a while, the beastmen finally finished their meal. A lot of people were holding their stomachs while sitting down. Everyone looked satisfied. No, it seems like there were a few as gluttonous as Catherine, even to the point where they shoved their heads inside the buckets to empty them out. The tribal chief then turned his head to me and shouted. “Don’t worry about it!” I also raised my voice. “Er... It’s a bit hard to say this, but...!” The chief hesitated. Yes, I could relate to it, the sense of helplessness to the point of having to shout out discreet matters. Of course you do. After all, there would be no meaning if you could only eat for a day, because they also have to continue living tomorrow. This is a chance for me. “There is one condition! If you accept my condition, I will provide you food for a month!” I told him. “What is the condition? !” The chief asked. “I have something to ask you! Chief, I want to borrow you for a while!” I stated. “You want to borrow me! ?” The chief exclaimed. “Exactly as what I’ve said! I will permit only you to enter my residence! Everyone else should move a distance away just like before!” I shouted. The beastmen started to make a big ruckus. The pack couldn’t accept it. Some of them even yelled things about being deceived. Meanwhile, a few endured in silence. Those people seemed to agree to my proposition. However, they could not possibly publicly declare that they were willing to sell off their chief, thus, they could only remain silent. However, when I looked at the tribal chief’s face, I could see that what the others have said did not matter to him. “I understand! Thank you in advance for the food!” The chief bowed. “I will certainly keep my promise!” I answered.